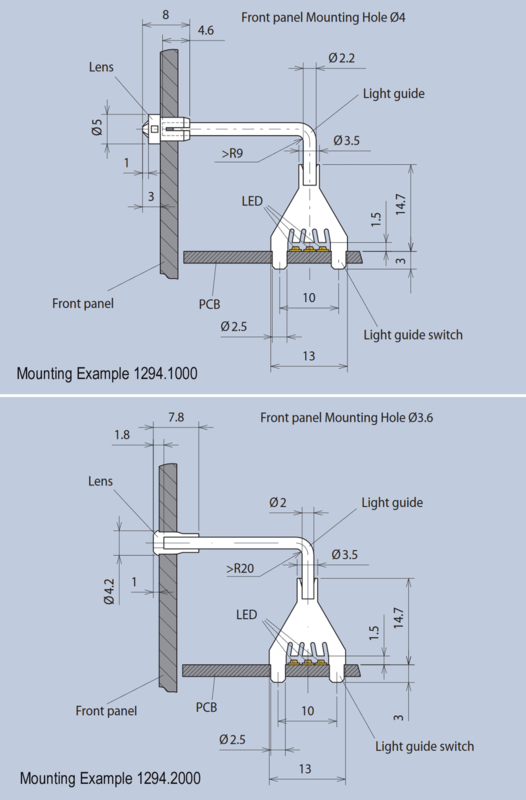 The light guide switch is designed for use with up to three Chipleds of different colours with footprint of 0805 or smaller; it functions as a colour switch, allowing single, twin or tri-coloured displays. It is mounted on the PCB via 2 press-in lugs. The housing is designed to accommodate Ø2mm light guides, i.e. 1000μm PMMA fibres as well as black-coated 1000μm PMMA/PE fibres. The Light guides and lenses are supplied unassembled.